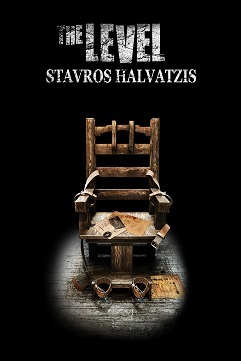 new release | Stavros Halvatzis Ph.D. So, you have a new release—you’ve written a new novel, posted it it up on amazon, and are hoping to generate some buzz to make it stand out from the millions of other books vying for the readers’ attention. 1. Make sure you have an intriguing, eye-catching cover. 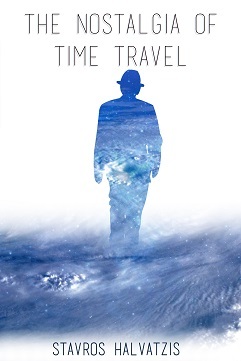 A book cover is the first thing a reader sees. Without a first good impression the chances of your book being noticed decrease dramatically. 2. Make sure you have a catchy, to-the-point longline that allows the reader to grasp the gist of the story with minimal effort. What has the world’s most powerful quantum computer, operating on board the space station Gravity, discovered about the birth of the universe that it is refusing to divulge? Chief programmer Sam Yeager is sent to find out, only to learn of a plot to sabotage the machine that could result in the death of the crew. 3. Feature a snippet of a great review on the cover itself. I placed this memorable quote on my cover to entice the reader. 4. Use social media to announce the arrival of your book and follow it up with a series of interesting posts. In another article I will look at where and how best to advertise you books for optimal results. A great cover, good reviews, and social media support are essential in getting your new release noticed on platforms such as amazon. 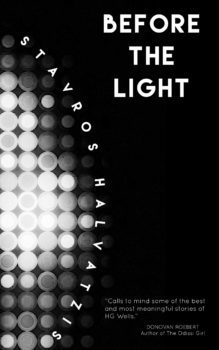 This entry was posted in Marketing your Project and tagged new release on November 4, 2018 by Stavros Halvatzis. Cover reveals are an important part of marketing your forthcoming novel, short story collection, or non-fiction book, especially if you are an independent writer publishing on such sites as Amazon.com. Great covers spark interest in your work, and together with a release date (which may vary from days to a couple of weeks), help to create anticipation in your readership. 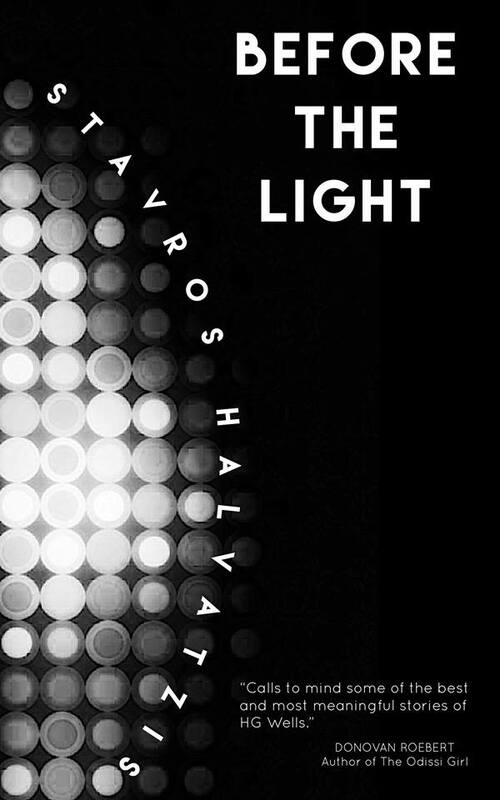 A well designed book cover seizes one’s immediate attention. At its very best, it captures, in an impactful and compelling way, the essence of your story, its central themes and elements, its chief conflict, and projects a defining emotion. Opinions vary on specific styles, but obviously, genre and period have a lot to do with informing the look and feel of your cover. These considerations extend to the font used for the title and other text that appear on it. My own preference is for simple bold images that rip through to the essence of the story. 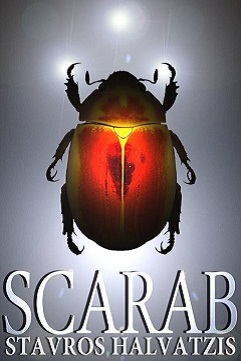 In my first novel, Scarab, a large red scarab, placed against a grey background to set it off, suggests the Egyptian link in the story, while the bright lights behind it variously suggest stars, or even, spacecraft lights, invoking the science fiction elements in the tale. 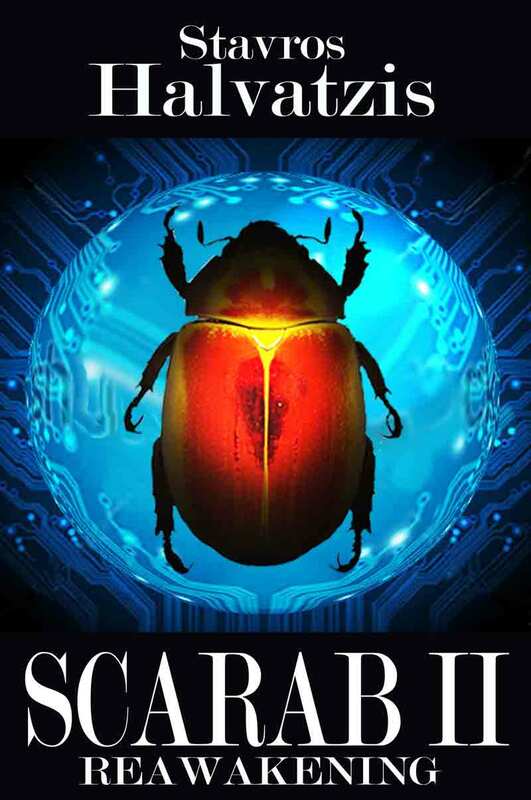 My follow-up novel, Scarab II: Reawakening, (which is being released on the 20th of June next month through Amazon), is based on roughly the same cast of characters as the first, and continues the established visual pattern, but introduces the images of a spherical object and a computer circuit board behind the now familiar red scarab, to highlight important elements in the tale. 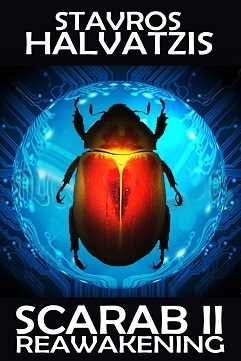 The central thrust of Scarab II: Reawakening concerns a misinterpreted warning from an alien object found in the Drankensberg mountains of Natal, South Africa. 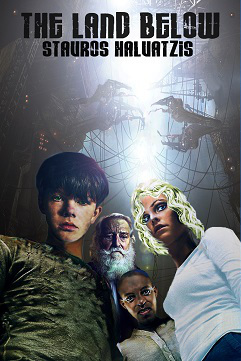 A visual display from the orb seems to confirm the coming destruction of the earth by a super solar flare, as prophesised by various doomsday cults across the world, and the protagonist, Jack Wheeler’s, attempt to find and use the quantum computer, introduced in the first book of the series, to try and prevent it. As illustrated above, a short summary of the story, and information about the author (if none is available elsewhere on the website), ought to accompany the cover reveal. Once these elements are in place, you are ready to promote your cover reveal through as many mouthpieces as possible: certainly facebook, twitter, your website, fellow bloggers through announcements, author and character interviews, and blog-hops, and, last but not least, through the pre-sales option on sites such as amazon.com. That done, sit back, have a cappuccino, or some Earl Grey tea, or something stronger if you must, cross your fingers, and wait for those first reviews and sales figures to come in. A cover reveal is an important part of your book’s marketing campaign. Use it judiciously, together with a release date, to help promote the launch of your book. This entry was posted in Marketing your Project and tagged #amreading, new release, novel, Scarab, Scarab II, Sci-fi, science fiction, scifi, writer, writers on May 27, 2013 by Stavros Halvatzis.